McDonald’s Fries Can Help With Your Hair Loss. Wait, what? Exploring The Outskirts Of Vietnam: Was It Worth The Visit? The Nature Needs Heroes Timberland Collection Is A Must! Malaysia’s three most common hair problems and how to stop them! OMG! What To Wear For A Date?! Could Alcohol, Coffee and Being Overweight Be The Key To A Longer Life Span? 2CENTS Top Pick On Where To Eat! How to Ensure You Party Safe and Have Fun! American Hip-Hop Duo, Rae Sremmurd To Headline The Good Vibes Festival 2019! How Christmases Are Celebrated In Other Countries? Why Are People So Racist? It is a sad day for whiskey aficionados especially if you like a certain blend from the Japanese favourite Suntory. In terms of popularity of alcoholic beverages, Suntory might not have the same success as Asahi and Sapporo in terms of beer, but when it comes to whiskey, Suntory has always been known to be the benchmark in quality. While whiskey lovers sing praise about Suntory Whiskey, soon they can only reminisce on certain blends. Suntory’s best-known whiskey brands are Hakushu and Hibiki (often marketed as “The Hakusu” and “The Hibiki”), and they’ve become so popular that the company is running out. Specifically, it’s Hakushu 12 Year and Hibiki 17 Year that is becoming scarce, with Suntory citing unexpectedly high demand from Japanese customers as the reason it has been running out. For those of you who are unfamiliar in whiskey, territory might be wondering why the fuss. if there are not enough whiskey why can’t you just produce more? Well, it seems that the 12 Year and 17 Year tags on the bottle are not just some branding exercise than it is stating the actual facts it takes that long for the whiskey to age. Thankfully, you don’t have to wait that long until the next batch comes through as they are produced on a continual basis, however, stocks might be low as many buyers in Japan will be frantically buying these bottles once sales have reopened. However, the good news is for those who still want Suntory Whiskey can still go for the Hakushu 18 Year and the Hibiki 21 Year variant which is not lacking in quality either. While Suntory has given us a timeframe on when it’s going to stop selling the Hakushu 12 and Hibiki 17, it’s released no timetable for when they’ll return to stores, so if you’re keen to score a bottle of either, you’ll want to act now. 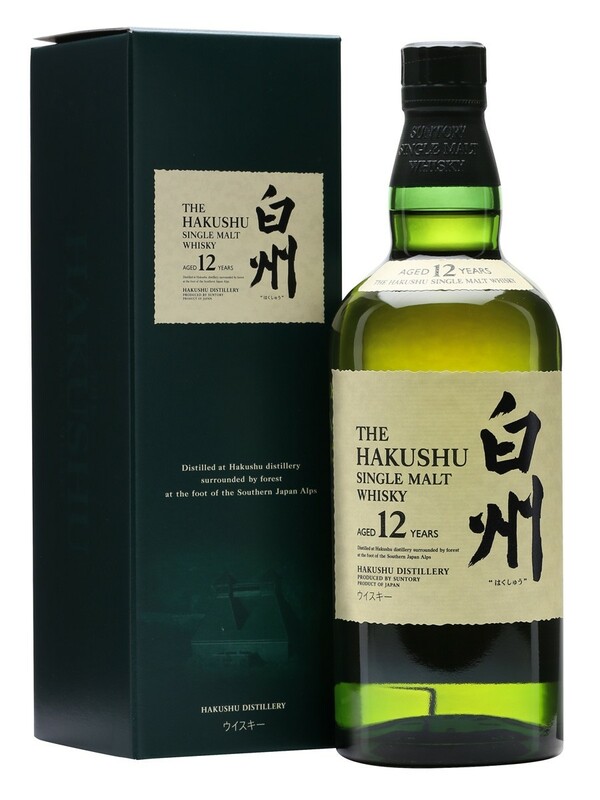 And if you happen to already have a some Hakushu 12 or Hibiki 17, cherish it, since it might become valuable like a bottle of Final Fantasy whiskey. Laugh It Out With 1Malaysia Comedians Bureau Show This January! Laugh With Grumpy Malaysian Comedian, Kavin Jay This August! Good Vibes Festival 2018 Tickets Up For Grabs!! @2018 - 2cents.my. All Right Reserved.